Our Alpaca Hand Knitted Fingerless Gloves give you full dexterity and allow your fingers ease of movement and access while your hand remains covered and warm. These 100% Alpaca fibre gloves have a looser knit up to the knuckle and have been made to a generous length to the wrist. 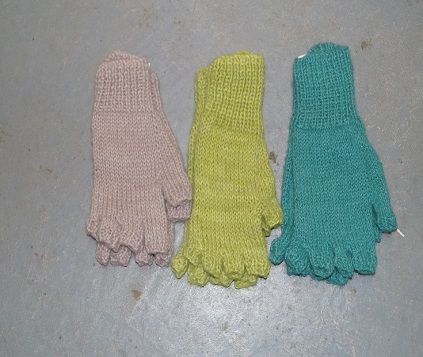 The Alpaca Hand Knitted Fingerless Gloves are available in natural colours or a range of hand-dyed colours in ladies or men's sizes. If you require a particular colour we can make to order.